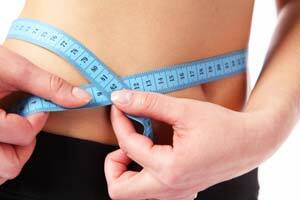 What’s the most effective way to lose abdominal fat and get a trim mid section? With the desire to get six pack abs at the top of nearly everybody’s list, it seems that every body is dying to know the most intelligent way to go about uncovering their abdominals. While I can think of a few things right off the top of my head that could be implemented to get you moving closer to your goal of a beautiful set of six pack abs, there is 1 universal piece to the puzzle...If you want to get awesome six pack abdominals, you’re going to have to lose the fat on your waist! While there is definitely a ton of information available that aims to enable you to melt off ab fat and expose your stunning six pack abs, the truth of the matter is that most people really don't want to put in the effort that has to be there in order to make it happen. Putting all of the required “pieces of the puzzle” together in order to lose ab fat is not an easy thing to do. It requires a lot of hard work and planning. To move you towards your goal of ripped abs, I’ve put together a list of pointers that can help you get to the root of the problem and allow you to burn abdominal fat without having to resort to unsafe diets, fat burner pills or any sort of unsafe methods. 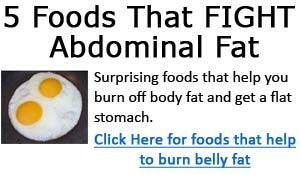 If you start out by acting on this information today, you will lose ab fat and over time you should begin to uncover some awesome abs that you can be proud of. 1. Keep track of what you eat every day for 14 days. If you want to lose abdominal fat, you’re going to have to pay close attention to what you eat so that you can put yourself into a calorie deficit. The only way to lose body fat or abdominal fat is to eat fewer calories than you expend on a daily basis. And the only way to make this happen consistently is to keep a close eye on what you're eating. 2. Once you’ve taken note of what you’re eating each day for some length of time, you need to total up the number of calories and cut back on your intake by about 150 calories each day (assuming you’re eating no less than 1200 calories at all times). This will ignite the calorie burning process and help you create an instant calorie deficit that will allow you to lose abdominal fat quickly. 3. The next thing you should do if you’re serious about losing abdominal fat is to make it a habit to perform some form of free weights workout for at least 45 minutes 2 - 5 times each week, in conjunction with 2 - 4 bouts of aerobic exercises each week. Both weight training and aerobic exercise, burns calories and adds to the calorie deficit that you’re working hard to create. As an added fat burning bonus, when you begin to pack on muscle mass to your body due to weight training, your body begins to burn more calories at rest, this will allow you to lose abdominal fat faster than you otherwise would. The bottom line is that if you want to lose abdominal fat, you’ve got to learn how to create a calorie deficit through intelligent exercise and dieting. And you’ve got to make sure that you keep on top of all of your hard work. While it would be nice to think that it’s possible to get eye catching abs in only a few days, it's just not realistic. Building a six pack is a journey that typically involves hard work and consistent effort and attention for months at a time. So don’t make the mistake of getting upset after only a few days of effort. Put your head down and get back to work and over time you will lose abdominal fat and unearth an eye catching set of six pack abs! About the Author: Nick Andrade is a certified personal trainer and avid natural bodybuilder who specializes in helping people uncover thier six pack abs naturally.